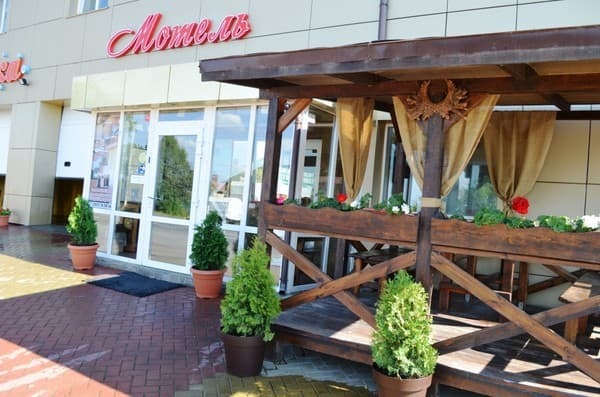 The hotel "AutoSpa" is located at the entrance to Khmelnitsky from the side of Ternopil. 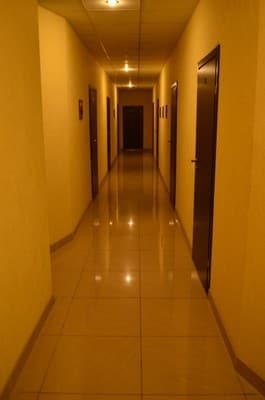 The hotel belongs to the auto-complex "AutoSpa", on the ground floor there is a modern car wash and tire service, on the second floor - comfortable rooms for guests' stay. 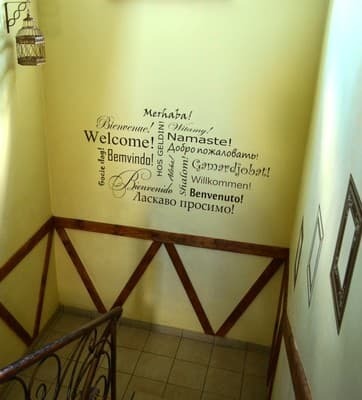 The hotel has 8 rooms. Each room has a boiler, a modern flat-screen TV, author's furniture, new plumbing, towels. For the comfort of guests, the hotel has an equipped kitchen for cooking. In the kitchen there is a fridge, an electric stove, a microwave, a toaster, an electric kettle, dishes. It is possible to order food in the room from the restaurants and cafes of the city. Guests can enjoy free Wi-Fi access. There is also a closed parking for cars. The AvtoSpa Hotel is located 3 km from the city center, 5.4 km from the railway station. 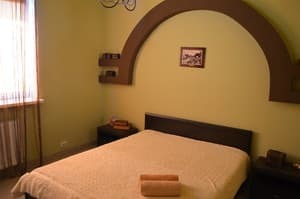 Description of the room: Cozy room with three separate beds. 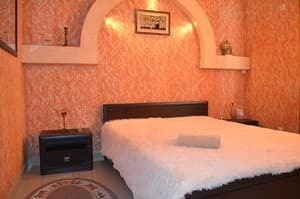 Description of the room: There is a double bed in the room. 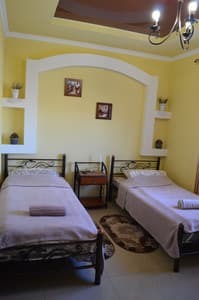 Description of the room: Double suite with a large bed, a bathroom and a shower. 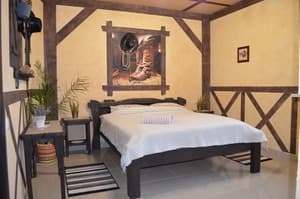 The room is decorated in a cowboy country style. 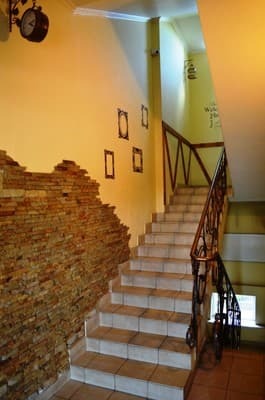 Designer repairs and furniture will pleasantly surprise you. For the comfort of guests, the hotel has an equipped kitchen for cooking. In the kitchen there is a fridge, an electric stove, a microwave, a toaster, an electric kettle, dishes. It is possible to order food in the room from the restaurants and cafes of the city. 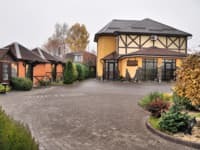 The hotel "AutoSpa" is located at the entrance to Khmelnitsky from the side of Ternopil. The AvtoSpa Hotel is located 3 km from the city center, 5.4 km from the railway station. From the railway station you can get there by taxi № 18,25а, 36,50. From the bus station - shuttle taxi number 54.